Here at the Curmudgeon house, there is no question which was the funniest Super Bowl commercial. It was the ad for the local Toyota dealerships. I think what they had in mind was drumming up traffic for their Washington’s Birthday Sales (a big tradition around here) by quoting from positive car reviews. But what they wound up doing was filling the screen with short phrases in big block letters surrounded with quotation marks. Even my 12-year-old understood the quotes in the ironic sense and nearly pulled a muscle falling off the sofa. I’ve been looking around the web for a video to embed, but sadly cannot find one. As of mid-week they were still obliviously running the ad. I am sure I don’t need to explain why we found this amusing. The Toyota recalls have been the biggest news story over the last few weeks, rivaled only by great heaps of snow falling in places where a blizzard is something you get at the Dairy Queen. Granted, that probably says more about a paucity of other compelling events to cover than anything else, but still. It seems that the media, mainstream and otherwise, just can’t get enough of what Reuters has called Toyota’s "largest-ever safety crisis." Politicians may occasionally allow a crisis to go to waste, but the media never does. There are just so many exciting angles to cover. Papers can run interviews with anguished Toyota owners. Local news can show dealerships working late into the night to fix accelerators. National news can bring us clips of "embattled" executives. There is, of course, a nationalistic subtext to all this. Toyota just recently overtook our own GM as world number one car producer. Many Americans are now experiencing the sort of schadenfreude you get when the slugger from the rival team gets suspended for steroids. The Reuters story I just quoted was actually entitled "Honda expands airbag recall as more Toyotas probed" conflating the two, essentially unrelated, recalls into an unnamed trend. The fact that both Toyota’s accelerators and Honda’s airbags were made right here in the Good Ol’ U. S. of A. gets about as much play as you would expect, that is, almost none. And there is a personal finance angle to the "crisis" too. Prices for Toyota cars, both new and used, are down. (The Consumerist sarcastically cut to the chase in a recent post Consumers Are Shockingly Uninterested In Buying A Toyota Right Now.) I suppose this must cause some anxiety in current owners of said cars, but what most PF blogs, e.g. WiseBread, want to know is, is this a good time to buy one? Well, duh. Of course it is. A Toyota is still a Toyota. (Except for the ones that are Lexuses and Pontiacs.) Even if you take at face value the oft-repeated claim that the faulty accelerators "have been linked to crashes that killed at least 19 people" [Italics mine] over ten years and eight million cars, accidents caused by this are still winning-the-lottery rare. This media frenzy will blow over. It will have the same kind of lasting effect on demand for Toyotas that, for example, the Great Rollover Scandal had on sales of Ford SUVs. On the other hand, it is important not to let the media hype exaggerate the size of the buying opportunity as it has the scale of the danger. 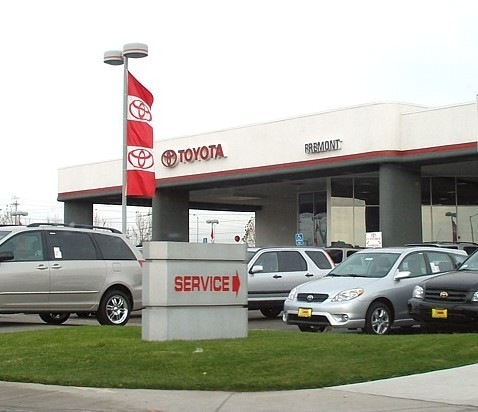 According to Edmunds, new Toyotas covered by the recall are all of 0.5% cheaper than they were a few weeks ago and used ones are down 3%. If you drove by a used car lot with the banner "All Cars 3% Off" would you stop? Perhaps the best idea is from the often insightful Flexo at Consumerism Commentary, who suggests that now is a good time to buy the stock of Toyota. It closed yesterday at $76, down 9.7% on the year. It’s refreshing to see a realistic post on the subject. Far more car crashes are caused by drunk drivers than faulty parts. I wish people would be more concerned about that! Before this, we were looking at Toyota. After this, if toyota offers some sale (which I assume they will to restart sales in the next month), I’m there and sold! By coincidence, I closed on a 2010 Camry five days before the order to stop selling. I needed a car because my beloved 2000 Camry had been rear-ended and totalled just a week before, and then I bought my third Toyota. Since my gas pedal was made by the Japanese manufacturer (Denso, I think) rather than CTS, my car was cleared for sale. I am happy to report that in acceleration, braking, handling, and ride, this is still a very fine car. And the price was pretty good, only 10% higher in nominal dollars than my 2000 Camry, comparably loaded. Nonetheless, if I stop posting for any length of time and on the off chance anyone is concerned, you can check the obituaries to see if I died from a stuck accelerator. I cracked up when I saw a Prius ad last night. Hey, actually, let’s see how effective that fix is, first. This is really more about brand image and public relations than an actual safety concern. I do think it will hurt Toyota brand. Be greedy when others are fearful and fearful when others are greedy? I feel relatively certain that Toyota will rebound. All it will take is some other car manufacturer having its own set of problems – and that comes around every couple of months. I don’t buy individual stocks as part of my retirement investing strategy but I’m also very much thinking the same thing. As someone who works in the field of injury prevention, let me just mention that mechanical failures hardly have anything at all to do with motor vehicle fatalities. It’s like a rounding error. If you’ve ever driven when you were just a _little_ bit drowsy, or a _little_ bit tipsy, you’ve taken on more risk than a truckload of Toyota gas pedals could give you. Cell phones alone demonstrably kill far, far people than any mechanical defect in modern cars ever will. And do we ban cell phones? Of course not. Most of the Toyota trouble is pretty weak tea. We have a 2006 Prius, which I applied my own personal safety fix to by taking the driver’s floormat and flinging it out the door. Because, hey, better safe than sorry. But “sudden acceleration incidents” are almost always a result of the driver stepping on the wrong pedal. If an accelerator really jams, the natural instinct of applying the brakes is a pretty good place to start, followed by putting the car in neutral. If you can interrupt your phone conversation for a moment, you’ll probably be fine. I’d gladly buy a Toyota if I were in the market for a car: they’re darn good cars. This thing will blow over just as surely as the Explorer Rollover Mania. Generating cash on the internet can be hard at the begin having said that Its the individuals which stick to it that could succeed.